Traptis an American rock band hailing from Los Gatos, California. Since its formation in 1997, Trapt has released six studio albums, one live album, one compilation album, three EPs and thirteen singles. This includes number one hits, a platinum album, and placements in movies and video games. Trapt has also traveled the world with some of the best known rock bands of today and of all-time, while managing to sell more than 2.4 million albums.The members of Trapt met in high school in the mid-'90s and shortly thereafter developed an act with Chris Taylor Brownon vocals, Simon Ormandyon guitar, Peter Charellon bass, and David Stegeon drums. The band's first few rehearsals were in Ormandy's guesthouse, which had a party-like atmosphere with its loft overlooking the living room.They began playing at local venues in 1997 before any members had graduated high school. The band received a great response and a positive buzz soon started to grow. In 1998, still before graduation, they were already opening for up-and-coming fellow acts like Papa Roach.Amalgamationwas thedebut independent release by Trapt, released in June 1999 and sold only in the Los Gatos, California area. The album wasconsidereda local success, even though this album sports a drastically different sound compared to later releases. In 2000, Trapt followed-up with an EP entitled The Glimpse.With these two releases and vigorous touring, Trapt caught the attention of major labels. In 2001, the band proceeded to sign with Warner Bros. Recordsand started recording their debut album.. On November 5, 2002,the band released their self-titled album, Trapt,which produced a total of three singles. In 2002, Trapt’s debut single"Headstrong" reached No.1 on both the Modern Rock Tracksand Hot Mainstream Rock Trackscharts, as well as No.16 on the Billboard Hot 100. “Headstrong”also won the 2003 Billboard Music Award for Modern Rock Track of the Yearand Rock Track of the Year, in addition to the Larry Award for Guilty Pleasure Award. Since then, “Headstrong”has been certified Platinum and was rated the No. 1 Alternative Song and No. 8 Rock Song of the Decade (2000s) by Billboard.The second single from the album, "Still Frame,”alsomanaged to achieve No.1 spot on the US Mainstream Rock chart and No.3 on the Modern Rock Tracks chart. The third single, "Echo" peaked at No.10 on the Modern Rock Tracks chart. The Traptalbum was certified Platinum by the RIAA, selling over 1.8 million copies to date. "New Beginning,"wasalsofeatured in the film Dragon Ball Z: The Return of Cooler.Before releasing their next full-length album, the band released a self-titled three-track EP, released March 30, 2004, that included live versions of the "Made of Glass" and "Echo" tracks from their debut album, as well as a previously unreleased non-LP track, "Promise".Their second full length album, Someone in Control, was released September 13, 2005.It produced three singles for the band: "Stand Up,""Waiting,"and "Disconnected (Out of Touch). ""Stand Up" peaked at No.3 on the US Mainstream Rock chart. In support of this album, Trapt toured with Thousand Foot Krutch, Silvertide, Chevelle, Three Days Grace, Nickelback, and others. Their live album titled Trapt Live!, was released September 18, 2007.The album featured two new studio songs ("Stay Alive" and "Everything to Lose") as well as live versions of nine songs from their earlier records. On June 10, 2008, Trapt released "Who's Going Home with You Tonight?" as a single. They also recorded a music video for the song.On July 1, 2008 "Who's Going Home with You Tonight?" was released as part of the weekly downloadable content for the Rock Bandgame series. Only Through the Painwas released on August 5, 2008. 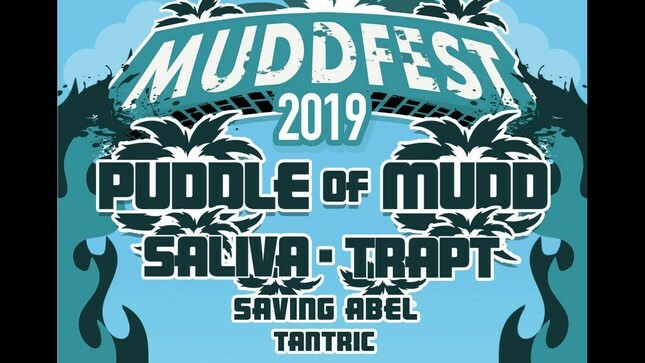 Trapt toured in support of the album by opening for Hinderon the Jägermeister Music Tourwith Rev Theoryas well aspart of Mötley Crüe's Crüe Festalong with Buckcherry, Papa Roachand Sixx:A.M.. In March 2009, Trapt started the Contagious Tour, also featuring Red, Halestorm, Inept and Since Octoberat several shows. "Contagious" was the album's second and last single, and was also available as a free playable track in the iPhoneand iPod Touchgame Tap Tap Revenge 2.No Apologieswas released on October 12,2010. A year later, Cleopatra Records and Trapt released a compilation album called Headstrong. It featured re-recorded versions of songs, demo tracks, remixes, and acoustic versions of "Headstrong" and "Echo. "Trapt’s latest album Rebornwas releasedindependentlyin January 2013. Reborn peakedat No. 44 on the Billboard 200 and No. 1 on Top Hard Rock Albums. From Reborn, “Bring It”climbedintothe Top 20 of the Mainstream Rock chart andwas used by ESPN as its promo song for Nascar Series.“Love Hate Relationship”was also released as a singleand peaked at No. 29 on Mainstream Rock chart.Trapt will be beginning the Self-Titled Tour in June of 2014, playing tracks off of their major-label debut album Trapt, as well as many fan favorites. 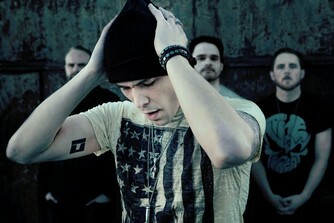 Get Trapt music and tour updates at trapt.com.